Sell My Damaged Car Now. The Best Way to Get Cash for Your Car! Just because your car isn’t in showroom condition anymore doesn’t mean it is worthless. The odd scrape or scratch, a Check Engine light, or bald tires will affect its value, but you can still sell it easily. But what if your car is in downright rough shape? We’re talking the type of condition where you’re embarrassed to be seen behind the steering wheel. Can you get cash for damaged cars like this? Can You Sell a Damaged Car? There is no rule against selling a car with damage, no matter what kind or how extensive it is. Here are some examples of the types of damaged cars that people will buy. Many damaged cars you might want to sell have been in an accident. Whether it’s light body damage to the front, rear, or side that’s only cosmetic or a collision that’s rendered your car undriveable, you can still sell cars that have been in an accident. When a car has been submerged in water, even for a very short time, it does not go well. Electronics and metal parts, both inside and outside the car, are prone to damage with even slight exposure to water or moisture. There’s not much you can do with a flood damaged car except sell it as is, because fixing it is definitely not worth the investment. Pock marks in the painted finish from hailstorm damage look horrible, but it usually doesn’t affect how a car drives. This cosmetic damage can severely impact a car’s worth. The good news is that, in most cases, the car can be put back onto the road which helps maintain its value. Make no mistake – interior damage is super expensive. Upholstery, glass, trim, or electronic, it all has a high price tag. 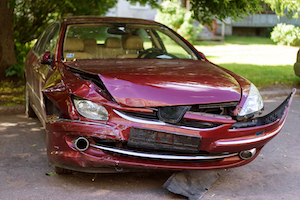 You could be better off selling a car with interior damage than footing the bill to fix it. If it runs and drives or not, cars that are rusted out or are badly corroded take a significant hit to their value. You can sell a rusty car – the buyer can choose to fix it, scrap it, or make a dune buggy out of it. Some mechanical issues cost a small fortune to fix, and we aren’t talking about the engine, though if you do have car engine problems the cost is likely significant. 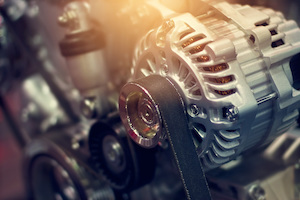 Other problems like a transmission problem, differential, transfer case, or steering and suspension concern may be more expensive than the vehicle is worth. A faulty fuel pump, an internal engine failure, or a sensor fault that prevents your car from starting. Whether an old car or a newer model, it can be beneficial to sell a car that doesn’t start instead of fixing it. When a car is involved in fire, it’s usually a total loss. Minor electrical fires, major fuel fires, or just the car in the wrong place at the wrong time. No matter what, your car still has some value and you can sell it. The unbelievable force contained in a hurricane can damage a vehicle in several ways – body damage, flood damage, electrical damage, and more. But after the wind dies down and you’re cleaning up, you can sell the damaged car for cash. 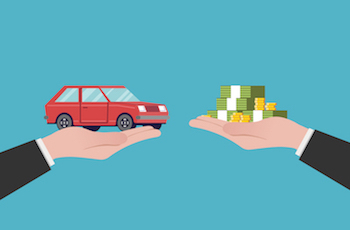 Have you asked yourself, “Where can I sell my damaged car?” If so, you’ll be happy to know there are several ways you can get cash for damaged cars. The first is the obvious answer: insurance. If your damaged vehicle was covered under an insurance policy, you’ll be able to it fixed under your insurance or you’ll be paid out what your car is worth. If you aren’t so lucky, you still have options. You can sell your vehicle to for parts on your own, which is messy, dangerous, and time consuming. You could sell it to a junkyard or scrap yard for a small amount of cash. Or, you can try your hand at selling it to a private buyer in the classifieds. You need to know how to sell a damaged car right, though. See, most people interested in a less-than-perfect car like yours want it for an extremely good deal. No matter what price you list it at, they’ll come in with an offerof half or less. That means you need to price your car accordingly, but not so high as to deter people from inquiring about it. It’s a fine balance. If you’ve said, “I just want to sell my damaged car quickly, and for a good price,” then you’re in the right place. The best place to sell a damaged car is DamagedCars.com. It only takes 90 seconds or so to get a no-obligation quote for your car in as-is condition. That guaranteed offer is good for seven days, so you don’t need to rush your decision either. When you choose to sell your vehicle to DamagedCars, you’ll be paid cash for your car within just a few days. We’ll pick up the tab for the tow, and we’ll handle all the title transfer details also. Get started by getting an offer for your car today!